Keep tree branches away from home in order to avoid easy pest access to home. Keep firewood away from homes in order to reduce pest harborage areas. Eliminate standing water near or under structure to reduce habitats. Seal opening to plumbing and electrics to reduce pest access. Seal gaps at windows and doors to reduce pest access. Repair leaky plumbing fixtures to reduce moisture for pests. Keep Garbage cans covered to reduce attraction of insects and vertebrate pests. Keep pet food in sealed containers so it is unavailable to pests. Keep storage areas uncluttered and manageable to avoid pests harborages. Repair rotten or damaged wood to reduce insect harborages. 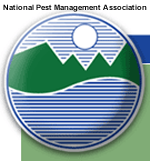 Monthly Pest Control – Pest pressure dictates frequency of service necessary. This is recommended for homes that are highly infested with pests. Some types of pests breed on a monthly basis so if your home is infested with any of these types, monthly service would be the most adequate. This is also for homeowners who have zero tolerance for sharing their homes with insects, spiders or rodents. Quarterly Pest Control – Offers an economical plan with service that is rendered four times a year. It is designed for customers that have specific seasonal problems or for homes with a light flow of pests. Seasonal Monthly Mosquito Treatment – Typically begins in May and ends in October. We inspect properties for conditions conducive to mosquito reproduction. We inform the homeowners of areas needing attention and treat areas where mosquitoes are found. Homeowners are continually reporting that they have reclaimed control of their backyards. Remember: Many varieties of mosquitoes carry deadly diseases. Insect-specific One-time Treatments – This treatment is guaranteed for 30 days unless otherwise specified. We specialize in the treatment of household pests that include but are not limited to – Moths, Fleas, Spiders, Ants, Roaches, Termites, Flies, Mosquitoes, Asian Lady Beetles, Hornets, Yellow Jackets, Bees, Wasps, Centipedes, Millipedes, Mice, Rats, Earwigs, Scorpions, etc.